This week we welcomed 13 members as well as Rotarians Marni Fraser, our guest speaker, Tom Smith and John Charbonneau. * Save the date! Our Christmas party this year will be at the Obregon's home on December 22nd at 5 pm. Details will follow via email. Our Rotary moment today was the announcement by Tom Smith about the upcoming 2020 District conference, to be held in Vancouver April 24-26 2020. Today was our guest speaker was Marni Fraser, former member of our club and a third generation Rotarian. 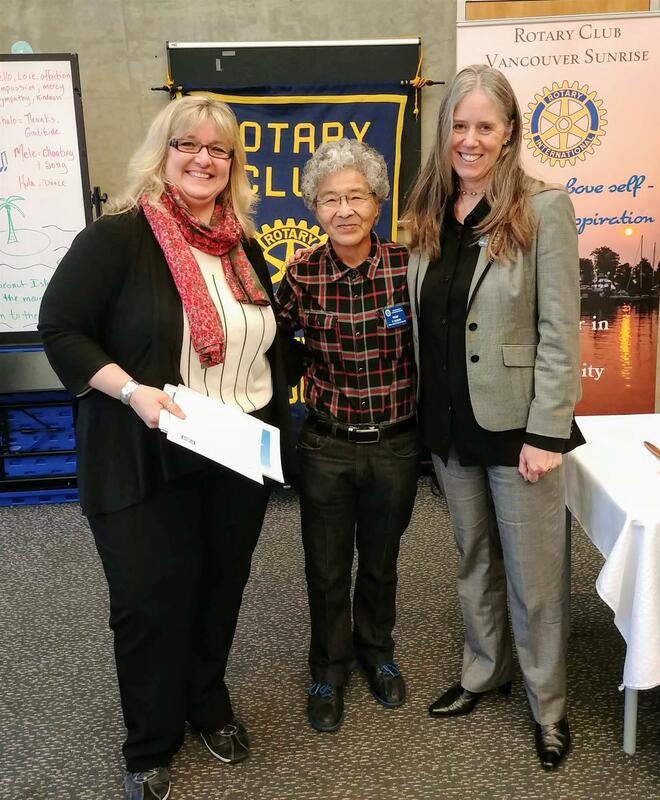 The title of her presentation was "Rotary challenge: fostering a reliable membership pipeline for a sustainable organization". 1) The importance of young member retention in a deliberate and strategic way. 2) Outreach to a younger demographic is crucial for our clubs. 3) Less than 5% of RYLA and other Rotarian youth projects end up becoming members.